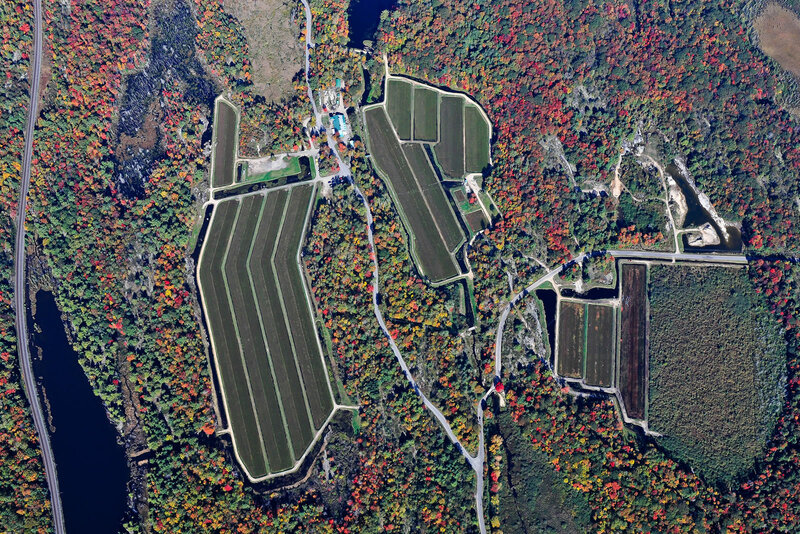 For three generations, we’ve been growing cranberries in Muskoka. We believe great fruit starts with caring about the environment that supports it. Farming responsibly ensures the health of our community, family and customer – and it makes for better tasting berries! We love where we live and are passionate about what we do – it’s that simple. As one of the few fruits native to Canada, cranberries helped shape our Canadian identity. They’re also important to our local town of Bala – the Cranberry Capital of Ontario. As Ontario’s oldest cranberry farm, we celebrate what is special and unique about our region with the fruit we grow and invite others to celebrate with us. Our farm is Local Food Plus certified for our sustainable growing practices. We grow 27 acres of cranberries on a 350 acre farm. Cranberry growing preserves wetlands and, because wetlands are sensitive, the rule of thumb is to develop no more than 10% of acreage. Most of our farm is natural wetlands, buffer zones, reservoirs and woodlands. Our trail system allows visitors to explore some of these areas. We grow Vaccinium macrocarpon – the cranberry native only to North America. There are over 150 commercial varieties of Vaccinium macrocarpon, and we grow five different varieties here – Searles, Stevens, Pilgrims, Ben Lears and Bergmans. Some of these are heritage varieties. We produce 300,000 to 500,000 lbs of cranberries annually. Harvest starts two weekends before Thanksgiving and carries on to the end of October. Visitors can buy fresh cranberries at the farm during this time. As small, independent growers, we don’t have the ability to supply major grocery chains, but some local grocery stores carry our fresh cranberries during harvest. We also have frozen cranberries available in our store year round. The balance of our crop is made into wine and our other products. 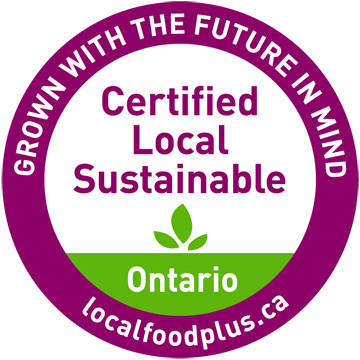 We also sell cranberries to Ontario manufacturers – juice companies, bakeries, preserve companies, breweries and wineries. We hope you’ll get a chance to visit us and taste the local difference!